FishingLicense.org knows that finding the perfect fishing spot can take years, especially if you live in an area devoid of clean rivers and lakes. Fortunately, there are locations all over the country that are swimming with fish — literally and perfect for anglers of every skill level. If you are serious about your fishing trips, try visiting one of these locations one day. Despite overcrowding prevention measures, there are plenty of bass to go around at Table Rock Lake. 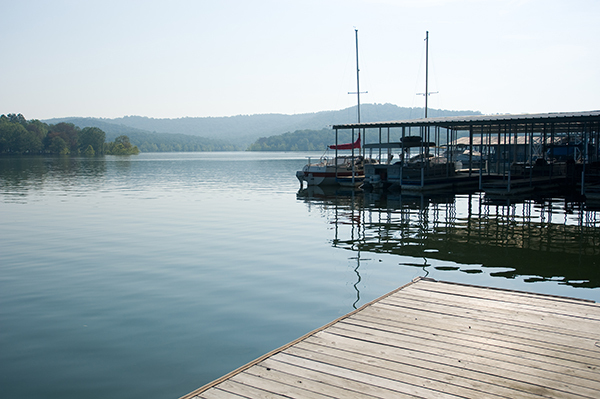 Spanning the Western portion of Kentucky and the western Tennessee border, Kentucky Lake is one of the largest man-made lakes in the country and next on the FishingLicense.org list. Due to its massive size, you can find almost every species of freshwater fish here, and the population of fish changes from season to season. Perch dominate the lake during the wintertime and panfish take over during the spring and fall months. The lake is also home to a high number of smallmouth bass. If you are interested in catching fish that don’t seem to appear in the mainland United States, then you will definitely want to visit Alaska’s Kobuk River. The fishing area can only be accessed by plane, but it offers a variety of species that are native to Alaska. The river’s most common inhabitant is the Sheefish, but you can also expect to run into lake trout, arctic char, pike, salmon and arctic grayling. Longtime fishermen recommend visiting the area during the winter if you want to increase your chances of a great catch. Located northeast of Detroit, MI, Lake Saint Clair offers a wide variety of freshwater species. The lake is notoriously shallow, and many anglers catch fish by trolling the bottom of the lake with tubes. As with many other freshwater lakes in the United States, bass are the most common species of fish here, but there are also plenty of walleye and muskie. Located in one of North Dakota’s most picturesque areas, Devil’s Lake is unique for one particular reason – its salt content. The upper Midwest is largely home to freshwater lakes, but Devil’s Lake boasts a high salinity level due to its limited drainage ability. Since the lake does not drain as effectively as others, it collects a massive amount of runoff from its basin, and during certain times of the year, the lake’s depth can increase by up to 60 feet. The FishingLicense.org team recommends fishing here if you are interested in Perch, Pike, Crappie, Walleye, and White Bass.